6320 Santa Monica Blvd., Hollywood. 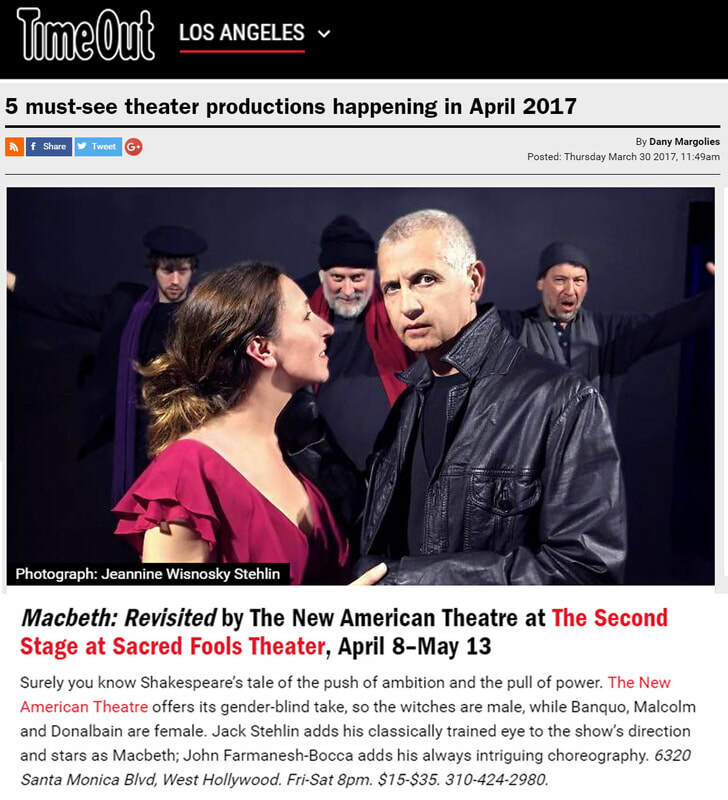 ​The New American Theatre presents ‘Macbeth: Revisited,’ an intimate re-telling of William Shakespeare’s Macbeth, a ‘tale of prophesy, murderous ambition, and unchecked power. and The New American Theatre, a membership company of actors. Macbeth: Revisited / Rehearsing the Faint from New American Theatre on Vimeo. that delivers all that murder and corruption in a condensed package. " 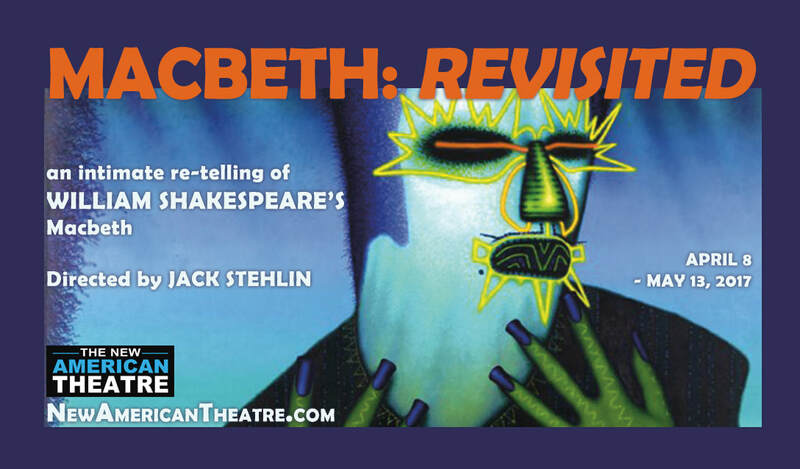 Macbeth: Revisited provides ample reason to revisit a classic." 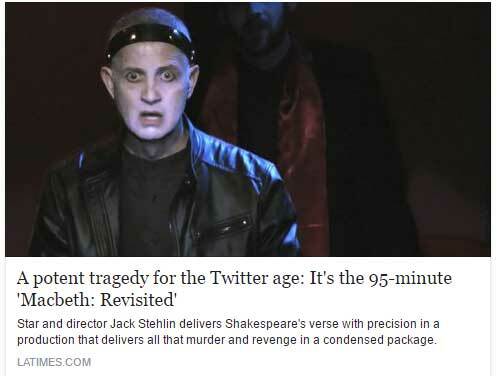 with a cast evenly balanced between the sexes"
...Stehlin's all-encompassing portrayal of Macbeth, with his bulging eyes and vocal power perfectly suited to the going-mad King. Take note those studying the art of acting - here is your chance to again see a master of the art at work onstage!" 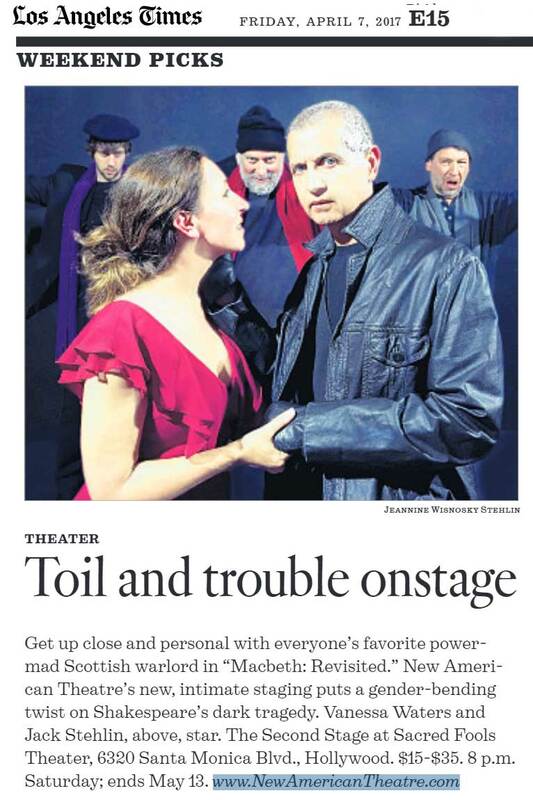 "Profoundly Interesting and Extremely Specific Production!" "Vivid!" Copyright, The New American Theatre. All Rights Reserved.